Plenty of other countries have “artificially drawn” borders and aren’t fighting. Here's the real problem with Europe's legacy in the region. “There's nothing the Arab respects more, John, than a strong steady white hand drawing arbitrary lines betwixt there ridiculous tribal allegiances," John Oliver said recently while dressed as a 19th-century British explorer. Recently the Daily Show joined the growing consensus of commentators declaring that arbitrary, carelessly drawn imperial borders are to blame for all that's wrong with the Middle East today. In doing so, they demonstrated that it’s easy to be incredibly funny and dangerously wrong at the same time. There's plenty to criticize about the legacy of colonialism, but dwelling on colonial borders only increases the risk that our future interventions in the region will further undermine its already fragile states. The idea that better borders, drawn with careful attention to the region’s ethnic and religious diversity, would have spared the Middle East a century’s worth of violence is especially provocative at a moment when Western powers weigh the merits of intervention in the region. Unfortunately, this critique overstates how arbitrary today’s Middle East borders really are, overlooks how arbitrary every other border in the world is, implies that better borders were possible, and ignores the cynical imperial practices that actually did sow conflict in the region. A quick tour of present-day borders reveals a few key similarities with the local Ottoman boundaries in place before the French and British arrived. The three separate provinces -- Mosul, Baghdad and Basra -- that were joined to make Iraq, for example, were often treated as a coherent economic and military area by the Ottoman government. 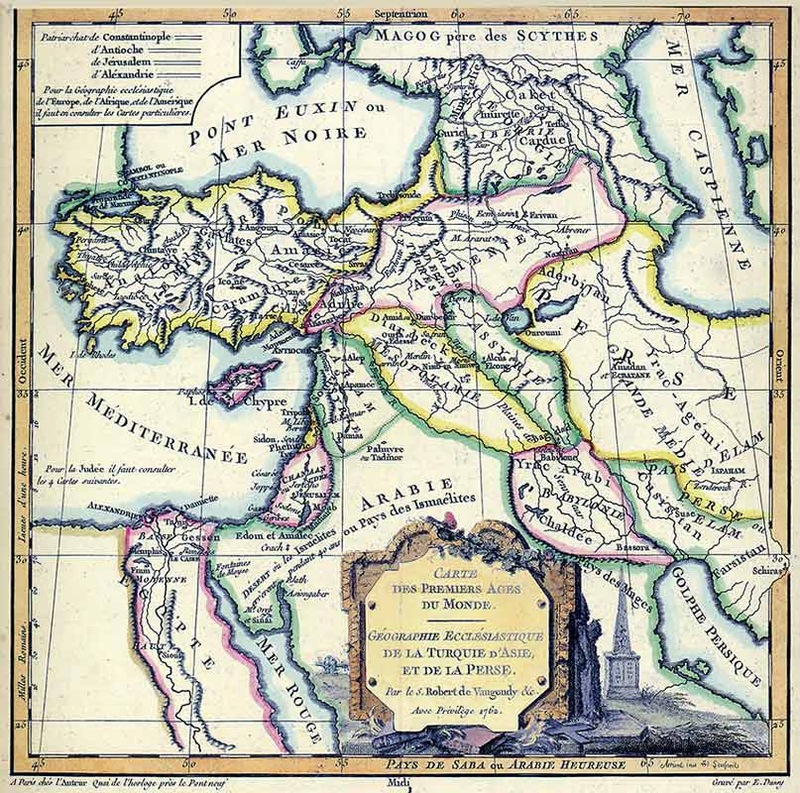 And of course, the region’s geographic unity going back to the origins of human civilization, had long been recognized in the term “Mesopotamia.” Meanwhile, the fact that Iraq’s eastern border with Iran followed a line set by the 16th-century conquests of Suleiman the Magnificent didn’t prevent the countries from fighting a decade-long conflict over it that killed ten times more people than all the Arab-Israeli wars combined. To the West, Mount Lebanon had been carved out as a special administrative unit following religious violence there in 1860 as a compromise between Istanbul and the Great Powers. (That this region should nonetheless belong to Syria was perhaps one of the Assad regime’s least controversial positions over the years.) The only country in the area for which no ancient borders existed was Jordan -- it was formed in 1922 from some not-too-desirable bits of arid land as something for Britain’s ally, Abdullah, to be king of. Like most kings, he would have liked something bigger, and yet under his family’s rule Jordan has been spared much of the turmoil endured by its less “artificial” neighbors. Even if Britain and France had set out to divide the Middle East with the best of intentions, which admittedly they did not, it’s far from clear how they could have done better. At best, creating more countries would have just meant more borders to fight over, while fewer large countries would have turned regular wars into civil ones. In Iraq, for example, creating smaller independent states would only have prefigured the conflicts dividing Iraq today. A predominantly Kurdish state built around the old Ottoman province of Mosul would almost inevitability have become ensnared in the ongoing conflict between the Republic of Turkey and its own Kurdish minority. Similarly, Shiite Iran would have had religious grounds to try to incorporate a small Shiite state based around Basra, whereas a state based around the central province of Baghdad would have hated to sit back and watch its neighbors grow rich off oil deposits that it lacked. So what if the British and French had instead endorsed the logic of pan-Arabism and created one big Arab state out of the whole region? Well, any such state would still have faced difficulty with its Christian, Kurdish, and Shiite minorities. And with Iraq, Egypt, Syria, and Saudi Arabia all asserting their own claims to preeminence in the Arab world, the question of leadership would have been contentious. Had such a state failed, like the short-lived United Arab Republic (1958-1961), its division would have brought regional politics back to square one. Most appealing, perhaps, is the idea that things might have gone smoother if the Europeans had just left the region’s inhabitants to sort things out themselves. This is what happened in the Balkans, where local leaders drew their own borders, and the fighting lasted up through the 1990s. Africa -- where the creation of new colonial states transformed pre-existing power structures far more radically than in the Middle East -- provides perhaps the best evidence that drawing borders is an inevitably ugly business, no matter who does it. After independence, leaders across the continent initially sought to preserve their countries’ borders unchanged. The fear was that any effort to completely redraw them from scratch would be far more disruptive than accepting the status quo. Of course, this consensus itself met with violent opposition, replicating the conflicts that would likely have accompanied a purely indigenous border-drawing process. To take one discouraging example, Sudan’s government fought for half a century to defend the generous borders it inherited from the British before South Sudan gained its independence in 2011. Subsequently, clashes have continued across this newly formed border, as well as between rival groups within each of the two Sudanese states. The fundamental problem was, and still is, that the world doesn’t have any authentic or natural borders, just waiting to be identified and transcribed onto a map. Europe’s “real” borders owe their current legitimacy, such as it is, to continent-wide exhaustion following several centuries of fighting. Winston Churchill may have drawn the border between Iraq and Jordan with a pen, but he was just as central in delineating the border between France and Germany when he led the allies to victory in World War II. Determining whether Alsace and Lorraine would be French or German was never as simple as just sending a commission to find out where the French people stopped and the German people started -- rather, the territory was awarded as a prize following each of the Europe’s bloody conflicts. Similarly, no commission, no matter the good intentions, could have been expected to find the magic line that got all the Sunnis on one side, the Shiites on the other, and the oil right in the middle. Straight lines on maps always appear suspiciously artificial, but in the Middle East they mostly reflect the presence of large swaths of flat, barely-inhabited land (see also: Kansas, Nebraska, et al). Interestingly, one of the most exhaustive efforts to create scientifically accurate borders in a dizzyingly multi-ethnic region was carried out by Soviet anthropologists in the 1920s. The result was today’s Central Asian states, whose borders have repeatedly been denounced as absurdly, unworkably, squiggly. The Soviets felt they could afford to make the borders so excessively precise because, in an example of true, ideologically-driven cynicism, they never expected the countries to become independent in the first place. Local roads that now require three border crossings to pass from one town to the next weren’t a problem when the whole region was politically joined in the Soviet Union. Our collective fixation with the Middle East’s borders has, however, drawn attention away from the truly pernicious policy of divide-and-rule that the French and British used to sustain their power. In Syria, the French cultivated the previously disenfranchised Alawite minority as an ally against the Sunni majority. This involved recruiting and promoting Alawite soldiers in the territory’s colonial army, thereby fostering their sense of identity as Alawites and bringing them into conflict with local residents of other ethnicities. The French pursued the same policy with Maronite Christians in Lebanon, just as the Belgians did with Tutsis in Rwanda and the British did with Muslims in India, Turks in Cyprus and innumerable other groups elsewhere. The militarization of these ethnic and religious identities, rather than the failure of perfectly placed state borders to alleviate tension between them, explains much of violence in the Middle East today. Blaming imperialism is usually sound politics and good comedy. But in this case, focusing on bad borders risks taking perpetual identity-based violence as a given, resulting in policies that ultimately exacerbate the conflicts they aim to solve.